For those who followed my blog since years ago, Naruko is not a new brand on this blog! I've reviewed some of products on this blog before and this time they sent me 4 boxes of their newly launched masks - HA Hydro-Lock Moisturizing Mask, Arbutin Intense Brightening Mask, Snail Essence Intense Hydra Repair Mask, and Collagen Booster Firming Mask! Just look at how cute the packagings are! I think the cutest is the brightening one hahas. 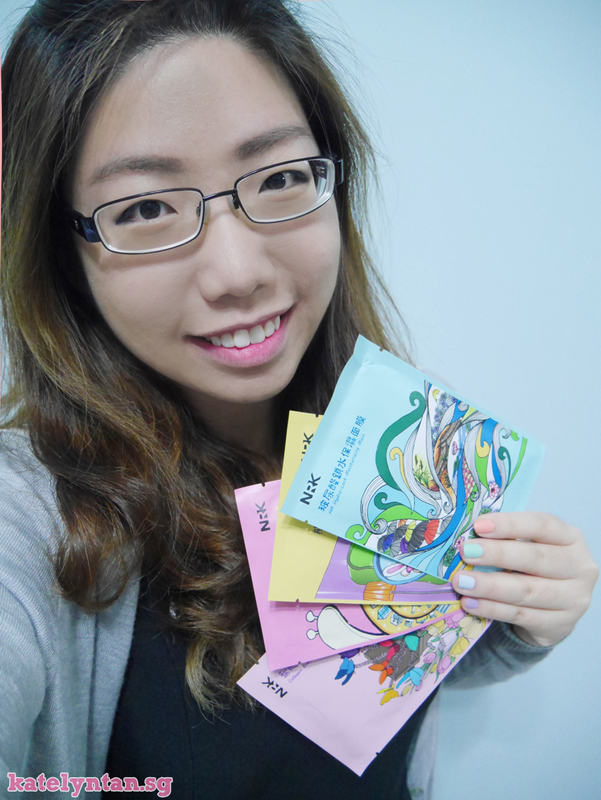 Anyway, each box contains 10 masks! The HA Hydro-Lock Moisturizing Mask follows the 4 steps of moisturizing - absorbing, replenishing, water-retaining and maintaing. Arbutin Intense Brightening Mask is the best with natural arbutin. It's said to lighten dark spots, soothes, brightens and comforts the skin. The Snail Essence Intense Hydra Repair Mask revitalizes skin with Elasticity and Brightness. It's said to be super moisturizing and repairing! Collagen Booster Firming Mask is your magic tool for restoring youth. It's said to makes your skin as elastic as a spring bed. Note: Snail Essence Intense Hydra Mask feels sticky when used. But it gets absorbed by the skin after awhile, leaving smooth and non-sticky skin! My favorites are the HA Hydro-lock and Collagen Booster as they are not sticky at all, gets absorbed by the skin very quickly and controls my oily skin! 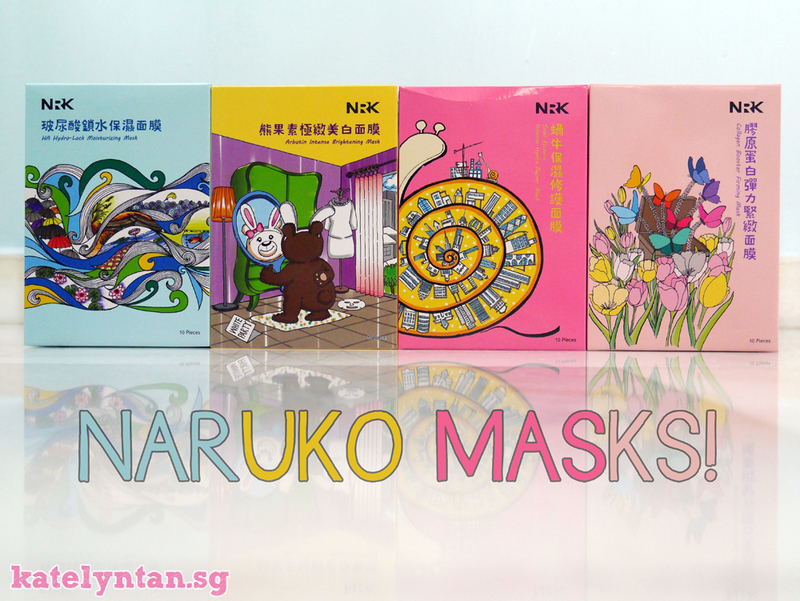 These masks retail at $19.90 per box but... Naruko is currently having an introductory offer for these masks! Get 2 boxes now at only $29.90 on naruko.sg or at any Guardian outlets ;) Promotion ends on 20th May 2015.